The country's third largest IT services export firm Wipro on Thursday announced a mega buyback offer of Rs 11,000 crore, following in the footsteps of arch rivals TCS and Infosys in returning surplus cash to their shareholders. The company's board cleared the buyback proposal entailing 34.3 crore equity shares at Rs 320 apiece. Wipro CEO Abidali Z Neemuchwala said the company expects to complete the formalities of the buyback between mid-October and early November. Neemuchwala said the board of directors has approved a buyback proposal, subject to the approval of shareholders through postal ballot, for purchase by the company of up to 343.75 million equity shares of Rs 2 each (representing 7.06 per cent total equity capital) from the shareholders of the company on a proportionate basis by way of a tender offer. He said the company will give 40 to 45 per cent of payout of annual profits, but this will not be uniform in a way that there are regulatory requirements and conditions that need to be met for buyback. So you should not see uniformly every four quarter, but rather see over a period of three years and we will meet the number of payout that we have talked about, both the dividend and buyback in combination, Neemuchwala added. On the buyback offer, Dalal said the announcement to buyback equity shares is part of Wipros philosophy to deliver efficient returns to shareholders. 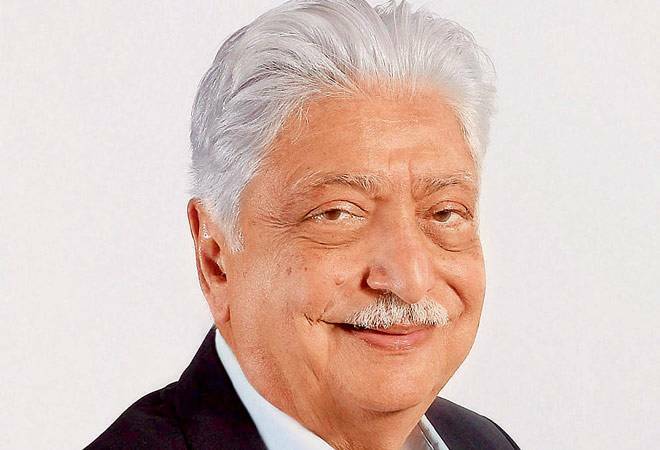 The Aziz Premji-led company reported a 1.2 per cent rise in its consolidated net profit at Rs 2,076.7 crore for the April-June quarter. The Bengaluru-based firm had registered a net profit of Rs 2,052 crore in the same quarter last year. Its total income grew marginally to Rs 14,281.4 crore during the first quarter. Wipro, which gets bulk of its topline from IT services, said it expects revenues from that business to be in the range of USD 1,962-2,001 million in the September quarter. For the June quarter, IT services revenue was at USD 1,971.7 million, up 2.1 per cent from the year-ago period. "We delivered revenues above the upper-end of theguidance range.. Our focus on digital, combined with our investments in client mining, has resulted in strong growth intop accounts," Wipro CEO Abidali Z Neemuchwala told journalists. During the June quarter, Wipro added 1,309 employees, taking its total headcount to 1,66,790 people. Neemuchwala said digital revenues in Q1 constituted 22.5 per cent of revenues with a growth of 3.0 per cent sequentially. Consulting revenues in Q1 constituted 5.7 per cent of revenues and grew at 3.7 per cent sequentially. Wipro's differentiated digital and consulting capabilities are helping us win new businesses, he said. VP Research (IT) at Angel Broking, Sarabjit Kour Nangra said, Wipro announced Q1 FY2018 a good set of numbers.. the quarter was better than expected on all fronts, mainly driven by better than expected volume growth during the quarter. Wipro, which announced its financial results after trading hours, saw its shares close marginally lower at Rs 269 on the BSE. Neemuchwala said the company continued to build momentum on client mining in Q1. The momentum of top 10 accounts growth has accelerated from 2.9 per cent QoQ in Q4 to 4.4 per cent QoQ in Q1, he added. Wipro CFO Jatin Dalal said the impact on operating margins on account of rupee appreciation and salary increases was partially offset by strong business efficiencies. We continue to sustain robust cash generation, he added.